£100 non-refundable booking deposit to secure dates. Full payment due within 42 days prior to hire. A £100 damages deposit is added to the total and is refunded within 14 days of departure. Payment is through bank transfer. 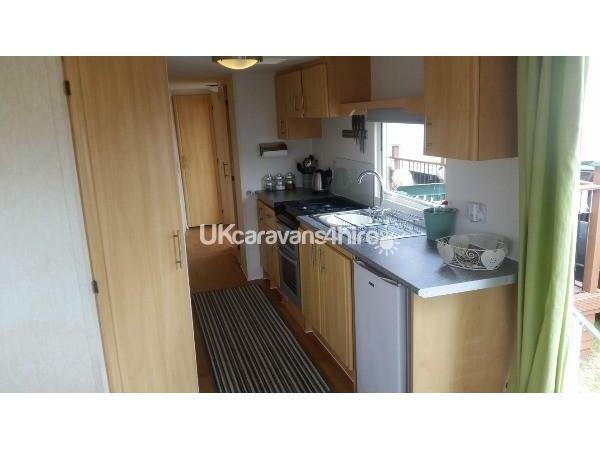 I have for hire a 3 bed static caravan on Beachside Holiday Park (TA8 2QZ) in Brean. The site is dog friendly and the beach is dog friendly all year round. The caravan is very clean inside and comes fully equipped with kettle, toaster, oven, fridge with ice box and all cooking utensils such as pans, plates, bowls, cups, glasses, cutlery etc. 32" Flat screen TV in lounge with freeview and DVD player and selection of dvd's for both children and adults. Playstation 2 with selection of games and 2 controllers. Variety of board games and kids toys as we have kids of our own. Pillows, mattress protectors and duvets are included but you will need to provide your own bedding and towels.There is a TV/DVD player in the main bedroom. 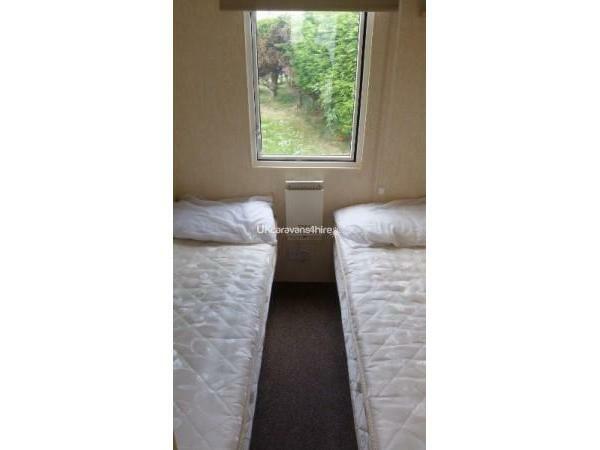 There is a double bed in one bedroom and there are two twin bedrooms. A bed guard is provided for small children. There are electric wall heaters in all rooms and gas fire in the lounge. (extra heater provided for winter months). 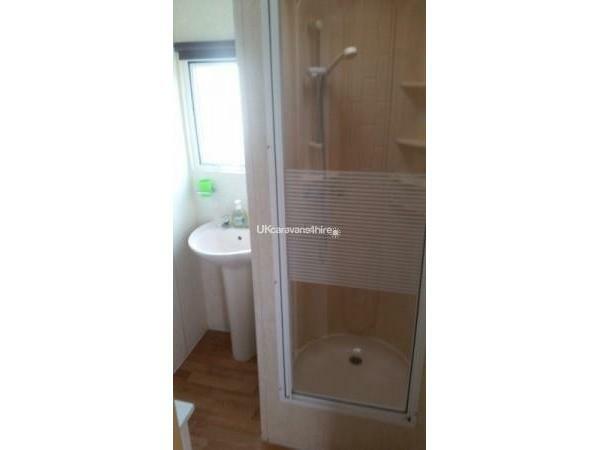 The bathroom has a shower and wash basin, The toilet is seperate. There is enclosed dog friendly decking to the side of the caravan with chairs, table and lights which is lovely to sit out on an evening. The caravan is very close to the beach with the site having its own path access. Well behaved dogs are welcome for a charge of £5 per night or £25 per week per dog. A stair gate is provided for the first door and the other door leads out to the enclosed decking which has gate access so prefect for children and dogs. The site is just across the road from Brean Leisure Park and not far away from Burnham on sea and Weston-Super-Mare. It is walking distance to local shops, food venues and arcades. Please contact me to book or to request any more information. I require a £100 per week non refundable deposit to book/secure the date. A £100 per week refundable care and respect deposit is required and will be given back if the caravan is left tidy with no breakages etc after I inspect it within 14 days. I require the full balance to be paid 42 days prior to the hire date. 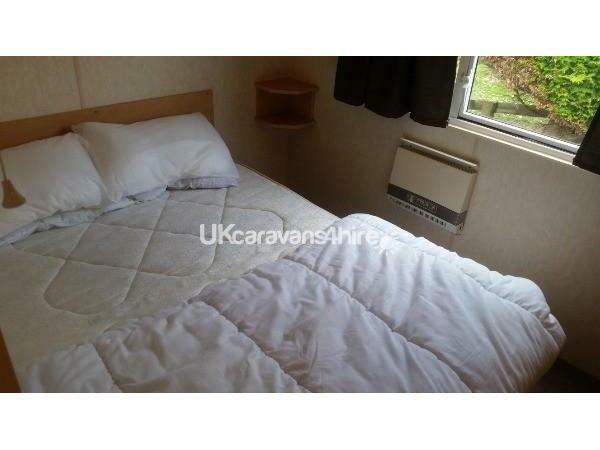 I do sometimes let the caravan for shorter periods of time (minimum of 3 nights) - a £100 refundable care and respect deposit will still be required. Great week Thank-you Simon.Grandchildren and dog had the time of there lives.Location of caravan great as they could go to the playground on there own.Dog just loves the beach and makes lots of doggie friends.Sundowner is the most friendly place for a great meal and drink.Looking forward to next year,Will be contacting you early in the New Year. Lovely stay for 2weeks, nice position, clean and tidy and well thought out inside and out. Just had a great week in a clean and tidy caravan, everything was in walking distance,beach, bar,nice site. Simon was very easy to deal with would recommend staying best location by far. We had a lovely week ( hot week ) in this lovely caravan Me my fiance and small dog. ( she was very welcomed with even a bowl supplied on arrival to use) and myself being pregnant owner happily arranged a fan which made things more Comfortable for me and my partner with ms. Comfortable interior and nice evenings on the veranda with local fish and chips. The situation of the caravan on site perfect only a few steps away from the cafe and beach. Perfect location. Highly recommended would stay again ty Simon for the use of your lovely van. Wonderful weekend. The caravan was super comfy and the sofa a homely welcome. It was very clean and Simon went out his way to answer all my questions straight away. Booking online was also really easy. All the little touches in the caravan were spot on. The enclosed child/puppy friendly decking was a huge bonus! We loved the pub and play area on site.. Really lovely, friendly owner and workers in there. The location of the caravan was fantastic especially with two pre schoolers and a puppy. You can actually see the sea just by the front of the caravan. All the attractions are in small child walking distance, either by road or beach, but also far enough away, to just relax! Simon we had an amazing weekend. Thank you! Will be booking for next year to. Had a great late booking,homely caravan so close to the seafront and my 2 dogs had the time of their lives,many thanks Simon,looking to book with you again very soon,SALLY. 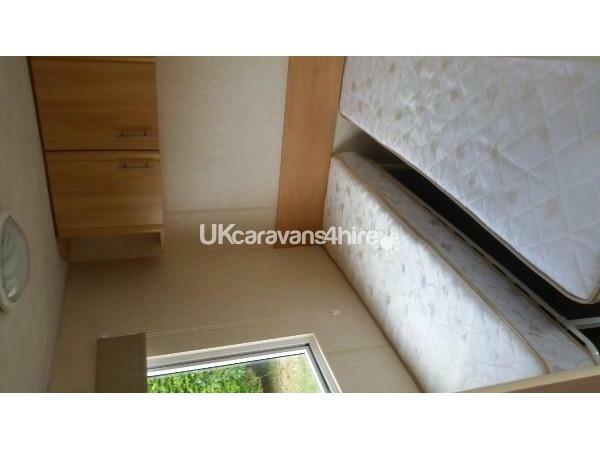 Nice clean caravan with everything one needs. Great site, good onsite pub/restuarant and local facilities within easy walking distance. Buses every half hour to Burnham and Weston-Super-Mare. Willl book definately again. This is my second year ive stayed in your van,stayed with a very good friend fiona gudgeon and my partner paul ,we had an amazing week,as normal van was clean and tidy as always,the location is just fantastic,hopefully 1st September next year we will be there again for the week,so put it in your diary Simon ..excellent van and holiday. The caravan was excellent. It was very well equipped, very clean and tidy, and in a great location for access to the beach and amenities. We had a really enjoyable holiday and hope to book again soon. 10 out of ten for this holiday,blinds a bit old and tatty but everyThing else I couldn't fault,great beach ,friendly staff at pub,loved everything else about the place,will be booking again next year,without my mother,she didn't stop moaning.